The notion of clothing as ‘enigma’ in film was first explored as part of the inaugural edition of the Fashion in Film Festival in 2006. This programme revisits these themes, taking its cue from the current explosion of ‘fashion film’ as a form of significance within the fashion industry. The experience of fashion on film is not equivalent to a first-hand experience of clothing. 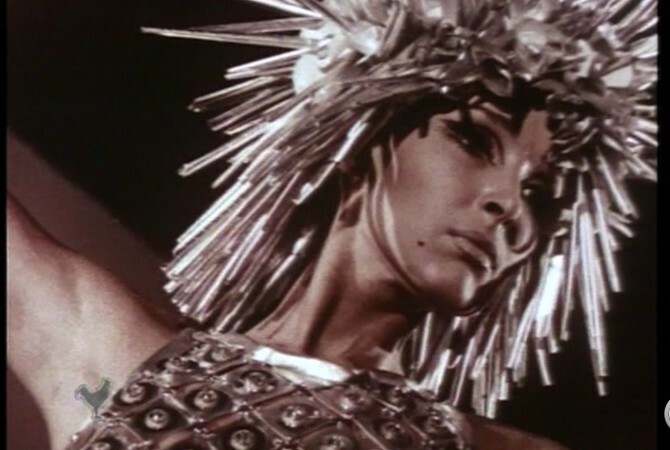 However, through various filmic techniques, new modes of display or digital technologies, film allows clothes to assume new shapes or spin off into abstraction – arguably superseding the vernacular experience of fashion. A mix of commercially and artistically oriented productions, each of these shorts finds new means to articulate fashion or clothing through the medium of film. These films engage with different artistic practices including sculpture, dance, theatre and, most recently, with technology, exploiting their expressive potential. In these films, clothes and cloth are presented in rituals such as folding and unfolding, stretching and pulling. The body within takes on a performative role: it is integral as a means to animate the clothes on film, yet it is anonymous, allowing the clothes to take centre stage. By obscuring the immediate function of dress, focusing instead on qualities of form and performance, the films in this programme portray clothes as estranged, dreamlike, playful and elusive. Fashion is revealed as a potent source of fascination, desire, emotion and sensual pleasure.